You must make reservations at least 5 minutes in advance of the time at Moura Bistro. Plenty of parking spaces all around the restaurant, front and back of the plaza. Any size catering, call and get a customized quote that fits any budget. 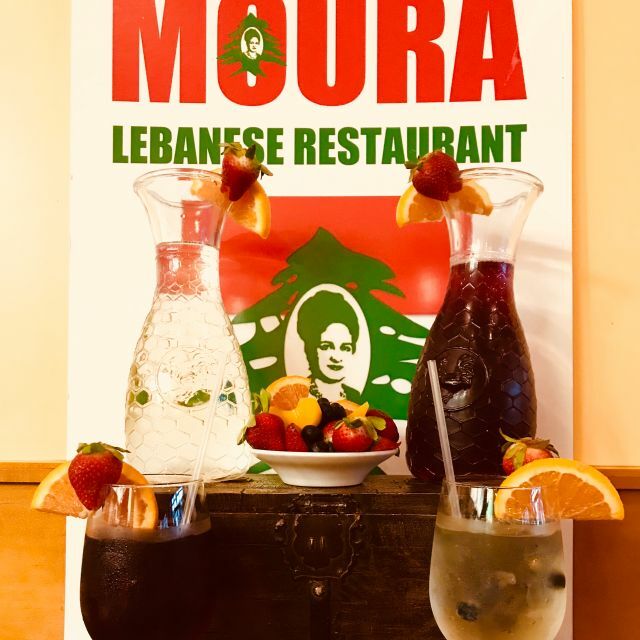 Moura Is The First, & Only Authentic Lebanese cuisine that came to SWFL, Moura Lebanese Mediterranean , Vegetarian/Vegan, delectable, Heart Healthy, Organic, Fresh, Finest Ingredients, Traditional Authentic Spices & Herbs. Tabbouleh salad was amazingly fresh and lemony. Stuffed grape leaves very juicy. And lamb sandwich very tender and full of flavor!!! For those that are vegetarian/vegan, falafel sandwich is always a hit. When I see the Moura Bistro sign my heart says you're home. The warmth of Nabil's smile when I walk in and he greets me, remembers my name, "Audrey, are you back for the lamb chops?" melts my heart. The lamb chops are to dye for and the unique spices Nabil uses on them, are the best lamb chops ever. I always start with his amazing hummus, Halloumi grilled cheese and a glass of Chateau Ksara wine. I love everything on the menu but Moura lamb chops are my favorite. Tender each time just like the chicken tawook or any of the kabobs. 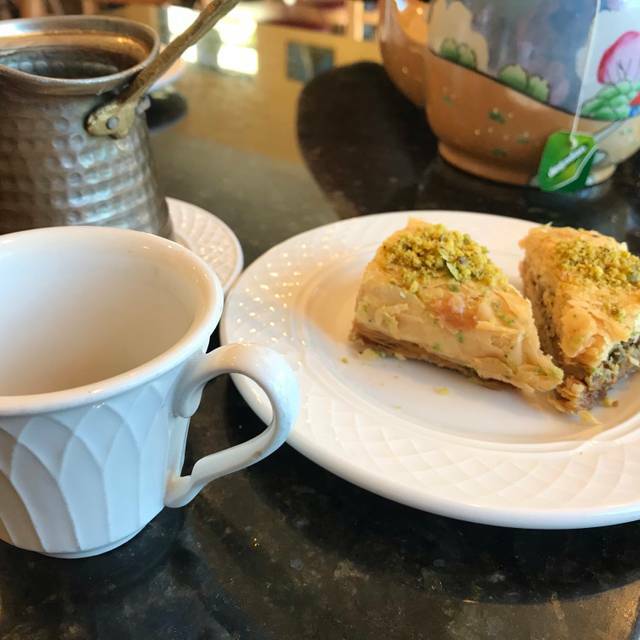 And of course always ending with Lebanese coffee and baklava. 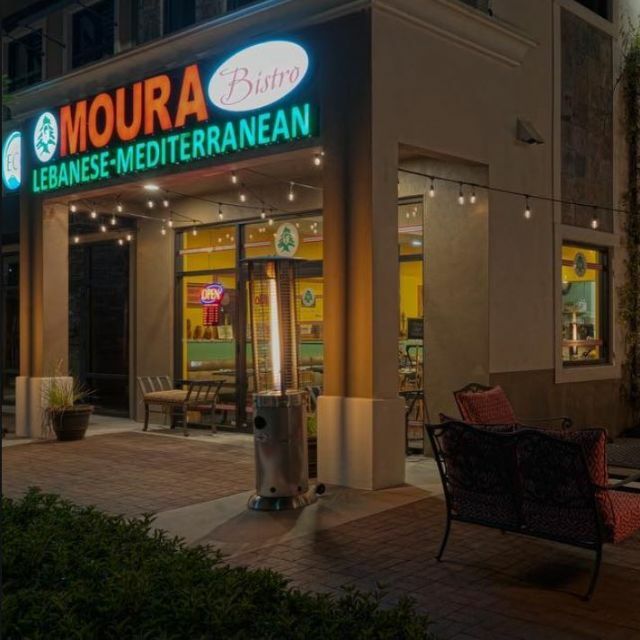 Naples should be proud to have Moura Bistro available to it's residents! Good Lebanese food option for Naples. Staff and manager were welcoming. Establisment is clean and has nice option for outside dining. Owner was gracious and accepted our suggestion to serve the pita bread warmed. We like Middle Eastern cuisine and will go again. This restersunt is a must try!!! The food is authentic the service is great the atmosphere is homey and its a great overall expirience. Poor service. We waited for a long period, and our orders were wrong. Billing was incorrect too. One diner was billed for her own dinner , and an additional Bill for entire group. Absolutely wonderful experience. The food and the service were terrific. The owner is very friendly and truly wants you to have a great experience . We are from out of town and had an early dinner at Moura Bistro. It was an amazing find! We were treated with lots of personal service from the owner. The food was excellent with organic and healthy ingredients. We loved it! Recommend highly! Excellent menu, good service and priced fairly makes for a pleasant experience. Food is very traditional Lebanese, just like my grandmother made. Delicious! Restaurant atmosphere is lovely and service is excellent and friendly. I highly recommend both this restaurant and the healthy cuisine! The ambiance is very welcoming and cozy. The food is delicious. Wonderful hospitality. I recommend it gladly for a quick and easy meal or more fulfilling dinner. Restaurant is small and loud. Entertainment was awful...We sat outside and had a relaxing dining experience. The service was hectic (they are looking for help) but the family made every attempt to insure we were comfortable and happy. The food is amazing! Fresh and clean, homemade and prepared with love and care. I will be returning for another great meal! 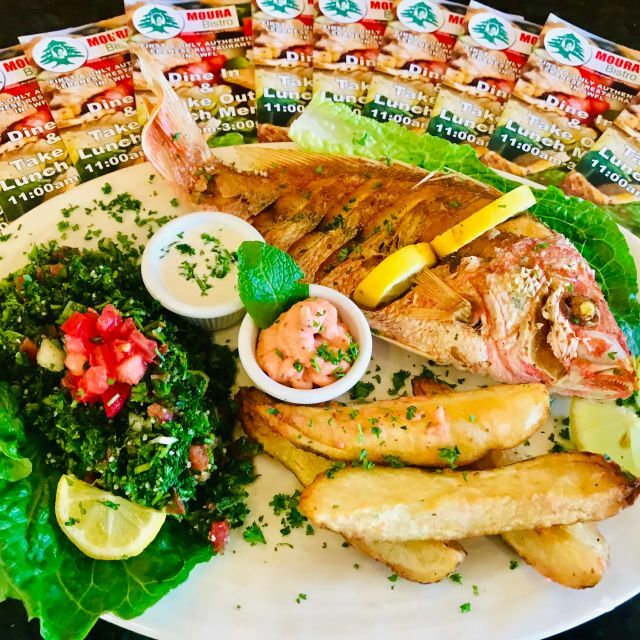 Food was tasty and server was friendly, however, we live in an area where there are a few excellent Lebanese restaurants which give you a lot more food per serving, so measured against that, we didn’t feel the value for the money spent was not great. Our server was attentive and friendly. Our food was very good and came out of the kitchen quickly. 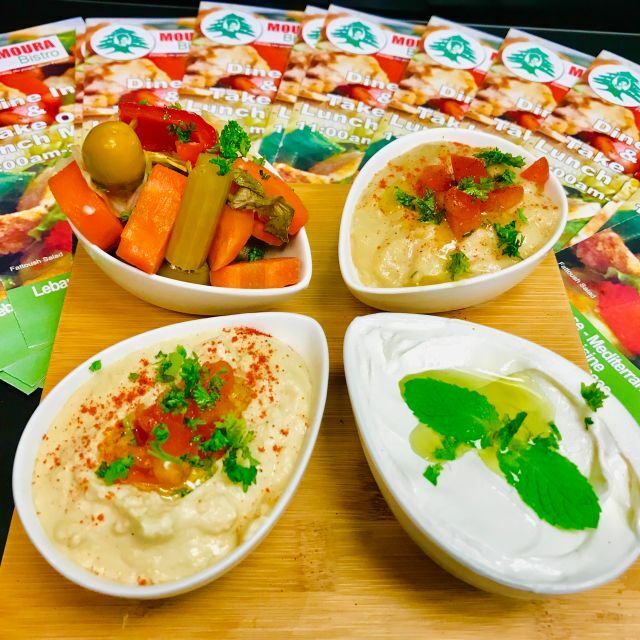 This is authentic Lebanese food as the owners are Lebanese and my judgment is based on my having a dear friend who cooked wonderful middle-eastern cuisine. The dining room is very nice and outdoor dining is available. Always a nice welcome by owner. Always delicious food! Excellent will definitely visit next tine in Naples. Highly recommend!! My friend and I came here after finding the restaurant on Open Table, the same evening. We enjoyed our food and especially enjoyed the owner telling us his story of how the restaurant came to be. He was very nice and even complimented some baklava! Thanks Nabil!! We will be back! The service, food and ambience were all spectacular. We were happy to have chosen Moura for dinner! We will be back soon! Organic food and amazing taste!! Great experience!! Food was burnt, service was horrible, bright lights, no ambience, should not be in operation in Naples or anywhere else. None of us liked ANYTHING we were served! Glad to have found this Lebanese gem . The ingredients are top notch .Organic, grass fed ,couldnt get any better .Well it did .Freshly made lemony tabboule bursting with flavor was my start .My mixed grill platter was incredibly tasty and.perfectly done. . My next visit I will have their fresh fish .My friend loved the spices and freshness of her fish. Best end of the incredible meal was their baklava. Light,right sweetness and crunchy. Would love to come back team Moura when I visit Florida again. Their Mixed Grill was outstanding and their Baklawa pure perfection! Our very favorite restaurant continues not to disappoint!! And, we brought our friends who are going to Lebanon and the owner gave them all sorts of places to go! This is a MUST GO for everyone!!! The 2 orders of chicken swarma were both very, very dry. The chicken tasted bland and tough, as though it had been sitting around for a couple of days. Not worth the $22 price. The Mixed Mezza platter was pretty good. Large Sampler of: Pita, Hummus, Baba, Labneh, Olives & Relish, 2 Grape Leaves, 1 Meat, 1 Spinach, 1 Cheese pie. Could have used more pita however. For what you get, it is quite pricey at $20. Our waitress was very sweet & attentive. The interior of the restaurant was very casual with prices that are close to fine dining. This was our first time to try Moura Bistro. Sorry, but we won't return. Located in a strip mall. There is an outdoor area located next to the restaurant do it's not in the parking lot. Tasty Lebanese food. Amiable wait staff. First visit . . tried during SWFL Restaurant Week. I'd like to thank Moura for participating. Nice, rather small place with good food at a reasonable price. The food and service were excellent. Sat outside where there was a fine singer to entertain. Definitely recommend. We love this place so much. First time in a few months, and it was delicious. Food was tasty, but I find restaurant chintzy. Only one piece of pita chip in fattoush salad, with tomato, didn't see much else. Having to pay extra for tahini or other sauce to go with beef shawarma. Menu choices are limiting, and why not a beef shawarma or other sandwich with a big bowl of the delicious lentil soup for dinner. Did not want a platter. Food is tasty, but based on other Lebanese restaurants I have eaten at, ,not a dinner choice in the future, maybe lunch. Need to work on their menu and pricing.